An important win in the Palau Blaugrana for Barça Lassa by 78-72 over rivals Zalgiris Kaunas in match 22 of the Euroleague. In a tight and tense encounter Barça's defensive performance was the key with Adam Hanga in particular very impressive. The win now leaves Svetislav Pesic's team just one victory away from a place in the top 4 of the competition. The Lithuanians started well with but two consecutive three pointers, Barça Lassa took a 12-9 lead. Five consecutive points from Séraphin gave the blaugranes a 23-20 advantage at the end of the first quarter. In a scrappier second quarter Barça Lassa retained their lead with Tomic inspired, collecting 11 points, 5 of 5 shooting in the first half. At the break Pesic's side were 45-38 up. After the break the Lithuanian side came back into the game and the team coached by former Barça player Jasikevicius took the lead at one point 62-60. That set up a scintillating final quarter and Séraphin's basket was crucial to give Barça a lead at 71-66. In the final minute a great defensive play from Hanga led to a final basket and a final score of 77-70 for the home side. 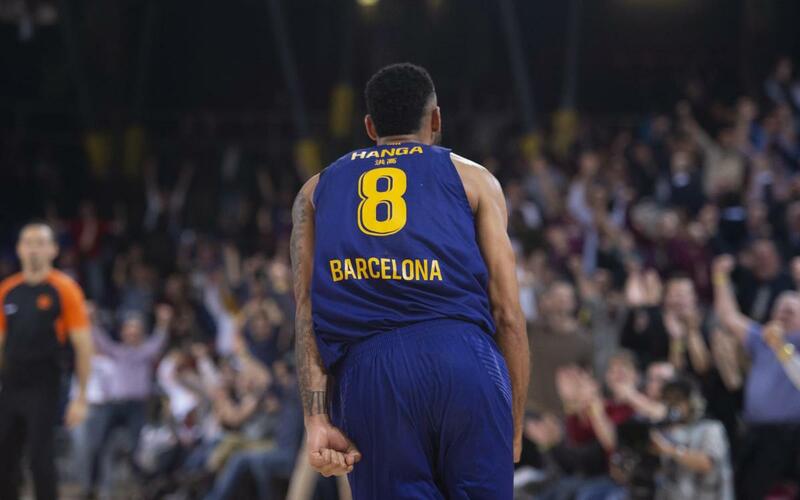 The win reinforces Barça Lassa's options of finishing the league phase of the competition as one of the seeded sides. Barça Lassa: Pangos (5), Kuric (6), Claver (2), Singleton (6), Tomic (11) – starting five- Séraphin (12), Hanga (14), Blazic (2), Heurtel (10), Oriola (10). Zalgiris Kaunas: Wolters (15), Grigonis (2), White (10), Milaknis (17), Kavaliauskas (4) –starting five- Davies (8), Thompson (-), Walkup (4), Westermann (-), Jankunas (4), Ulanovas (8).